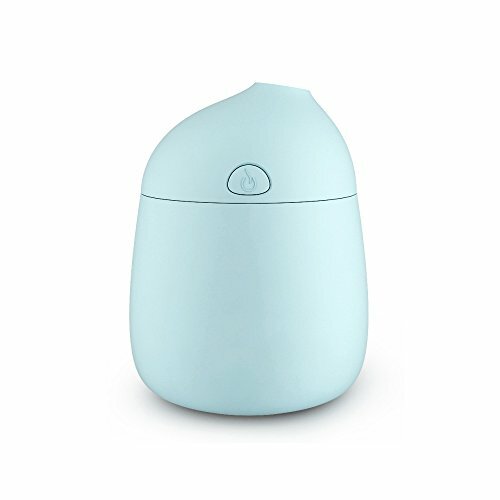 This Humidifiers can lift the mood and relieve stress from stressful and tired day, perfect for masking stubborn smoking and pet odors, get great and peaceful nights' sleep surrounded by the aromatic fragrance. Whisper-Quiet Ultrasonic Operation - humidify your living space to prevent dry, stuffy air and flu/cold germs infecting your loved ones. Prevent dry and chapped skin in dry winter months. Humidifiers Shuts Off Automatically When The Water Runs Out. Portable for Home, Yoga, Office, Spa, Bedroom, Baby Room. Perfect gift idea for family and friends who love aromatherapy or can benefit from Aromatherapy healing. The use of nano-mist technology, the use of piezoelectric ceramic microporous atomization technology, ultrasonic shock frequency of 1000khd, instantly broken water droplets to 1-3 microns, ultra-fine water molecules, generate natural and elegant tax, fog more uniform, moisture More thorough. Product automatic detection of water function, anhydrous automatic power-off protection, equipped with android phones with specifications the power cord can be through the computer, car charger, mobile power supply, power supply, sealing silicone plug, no peculiar smell, content: 120 ml, size: 3.1* 3.1* 4 in, Host weight: 3.8 ounces.,Packing weight: 5.6 ounces. If you have any questions about this product by Novth, contact us by completing and submitting the form below. If you are looking for a specif part number, please include it with your message.